Arguably one of interior design best home décor secrets, hygge (pronounced hoo-ga) is a Danish concept of creating joy and coziness in life’s everyday moments. Hygge is a state of mind. The state of being present in your environment, and having your home reflect the fact that it’s filled with family, friends, and history. While it may sounds appealing to have your home look like the cover of a magazine, what most people realize is the hygge is missing. The idea behind hygge is for someone to walk into your home and immediately get the “I love to live here” vibe. Furniture designer Morten Georgsen explains it perfectly: “We Danes love the state of mind – hygge – because it’s peaceful, friendly and a fantastic stress reliever. It’s out zen, we breath it, almost live from it. 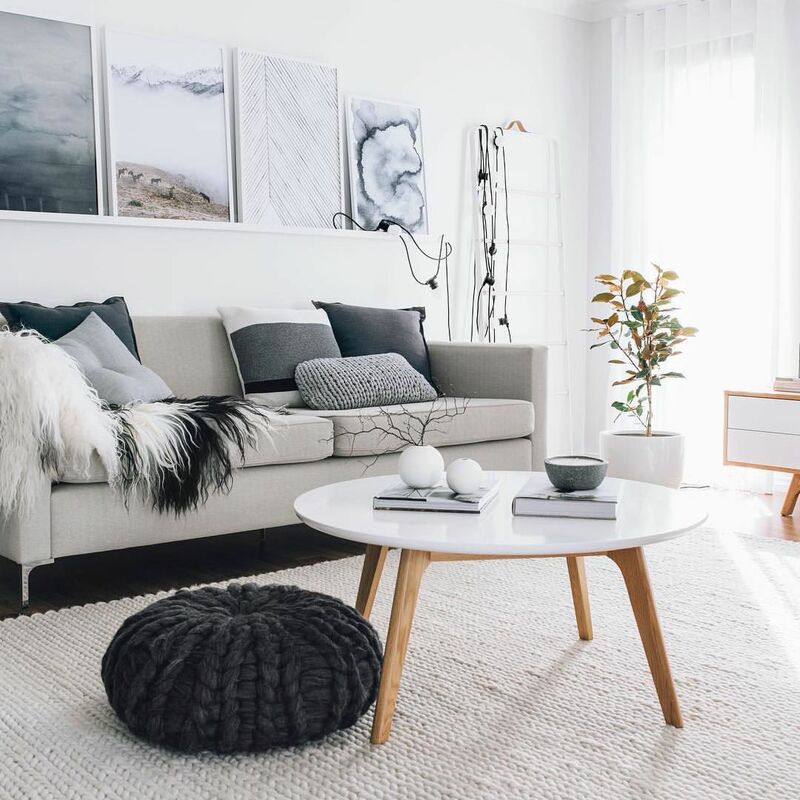 Maybe it’s one of the reasons that the Danes year in, year out are nominated the happiest people in the world.” For even more hygge home décor tips check out our post on Scandinavian interior design. Cozy bedroom by Decorilla designer, Kate S.
Candles, lamps, and fireplaces are among the common uses of lighting always found in a home full of hygge. Lighting can set your mood so choose something that you love. 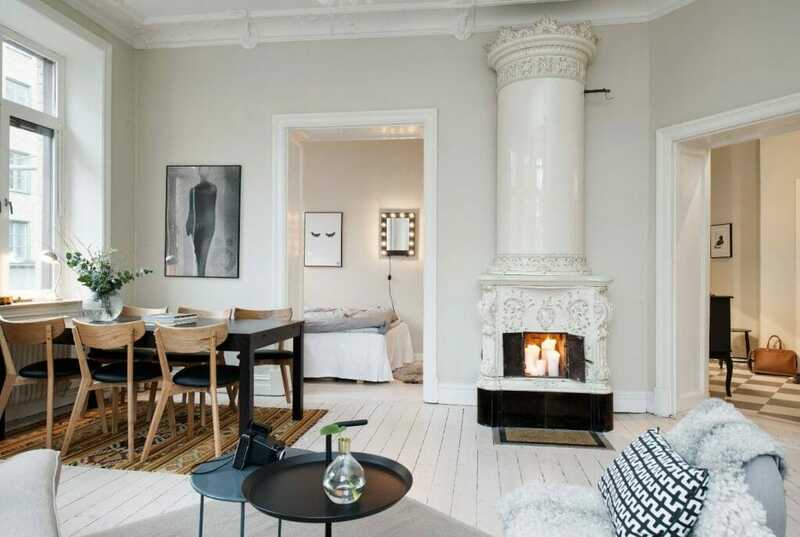 It’s common in Scandinavian decor to find candles scattered throughout the space or fairy lights draped across the mantle. Crowdsource your decorating project today and save! A cozy reading nook with a plush chair and warm light is the perfect place to find your inner “zen” and relax your body and mind. 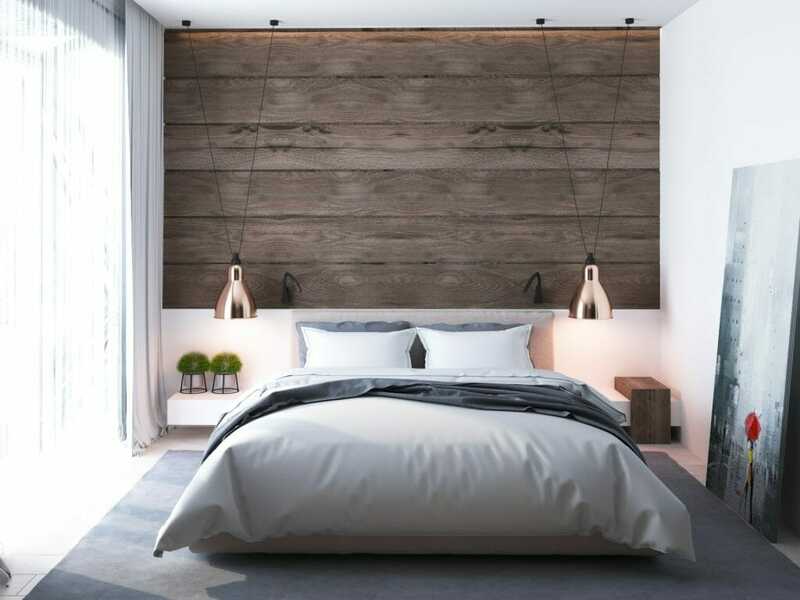 Having lighting on either side of the bed is also a great way to incorporate hygge into your home decor, making the bedroom feel more like a getaway rather than only a place to sleep. 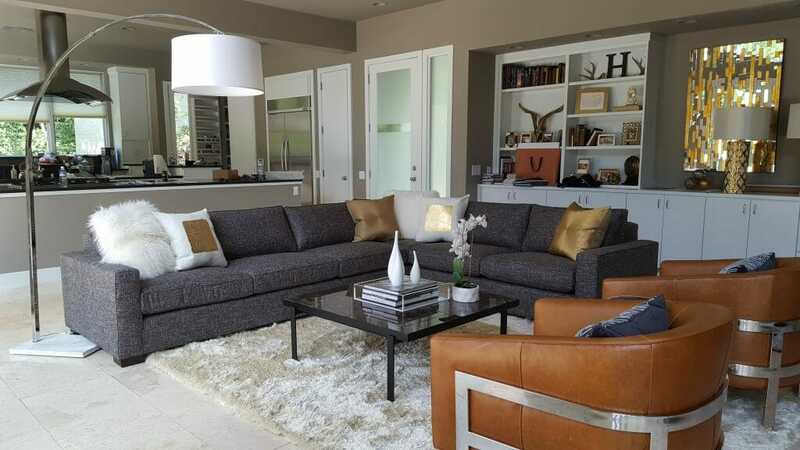 By Decorilla interior designer, Roberto D.
Select favorite pieces of decor that carry function and subtle style. Choose neutrals and whites for your wall colors throughout the house to create a sense of space and calm. 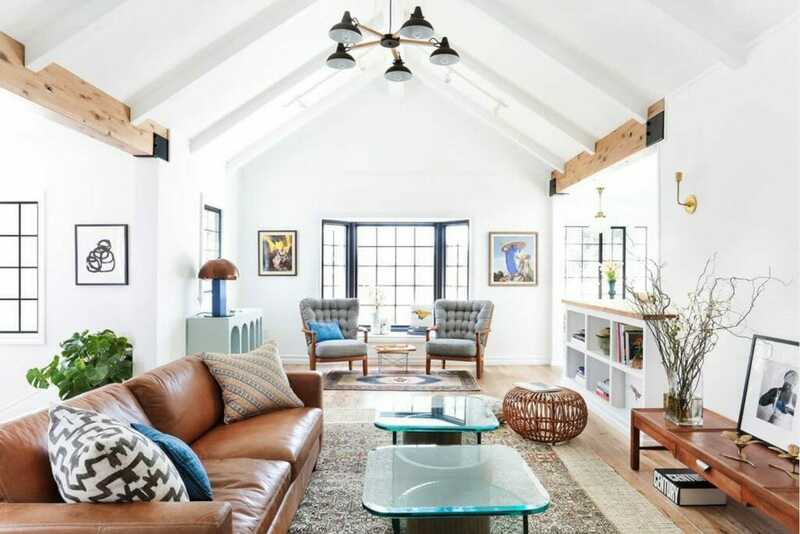 Books that you love, that may spark a conversation among guests, or a crystal bud vase from your great grandmother are perfect examples of bringing some hygge to your home decor. 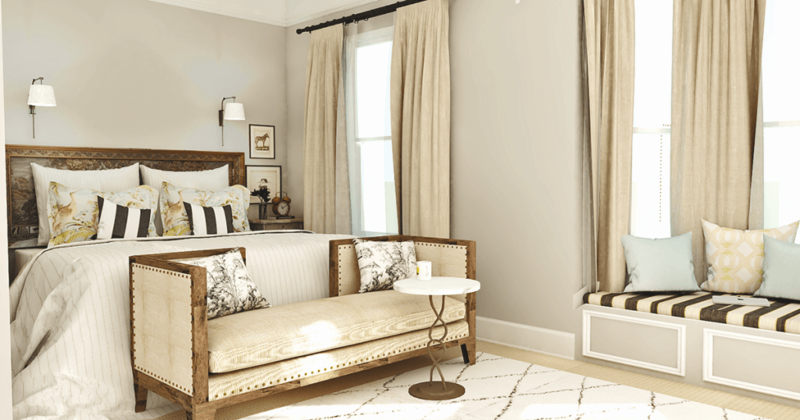 Design by Decorilla online interior designer, Kate S.
There is something so comforting about curling up on the couch with a big comfortable blanket draped over you, relaxation at last. Blankets, pillows, provide comfort to any space in the home. Using soft textures like cashmere can also help you indulge in the sense of touch. Designer tip: change out your throw pillows and blankets depending on the season. For example in the spring and summer bring out your linen throw pillows and light weight blankets, while in the fall and winter you’ll want more of a chunky knit throw with faux fur pillows for a new and exiting texture. Design by Decorilla online interior designer, Shelley C.
Design does not need to be perfect so value the pieces you have. Your personal touches and knickknacks can bring back nostalgic memories and make you smile. 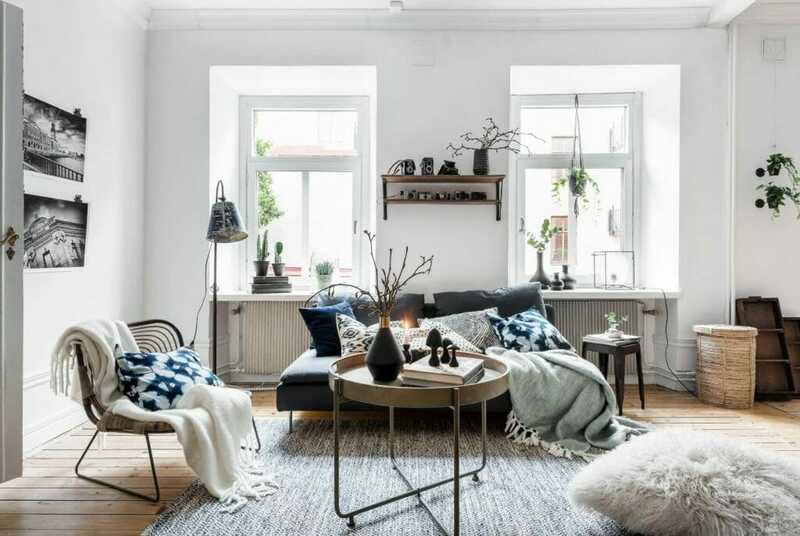 Check out these styling tips to help you achieve the ultimate Scandinavian look. Let’s be honest, as much as we love it, color can be very distracting. Avoid this in your home décor by keeping everything in a neutral color palette. 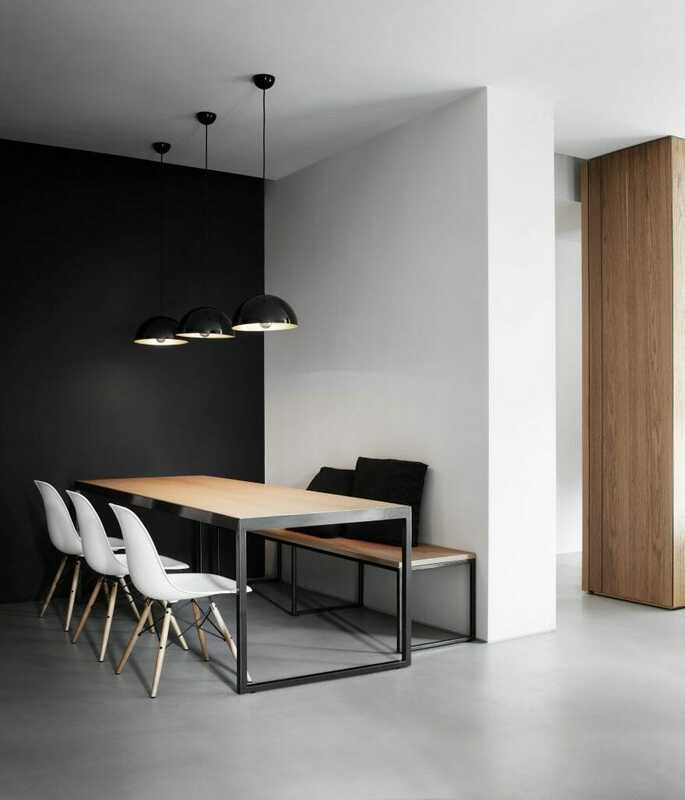 It creates a streamlined feel throughout the whole space. 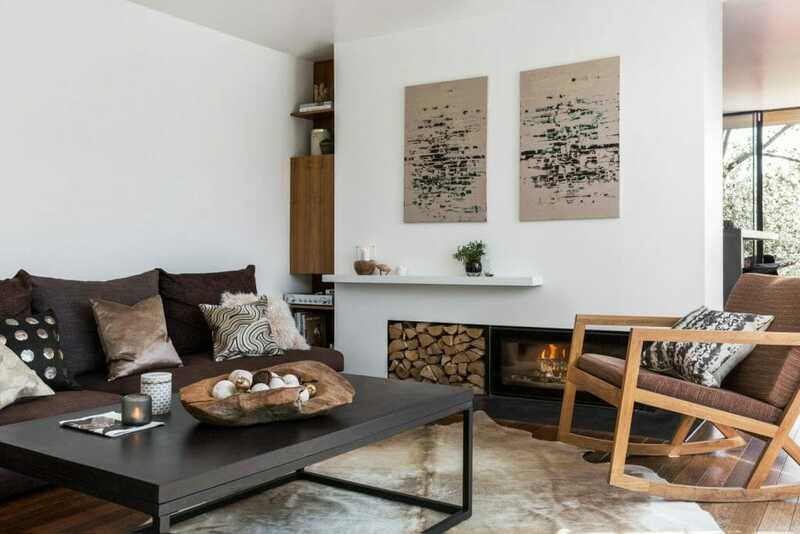 Design by Decorilla online interior designer, Taron H.
Incorporating warm woods is a perfect way to bring a Scandinavian touch into your home. 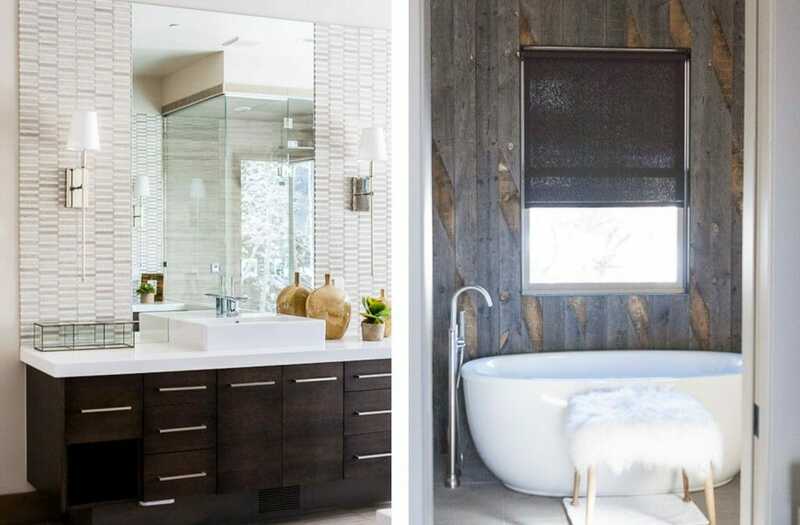 Not only do wood tones warm your home, it also helps bring you closer to nature. 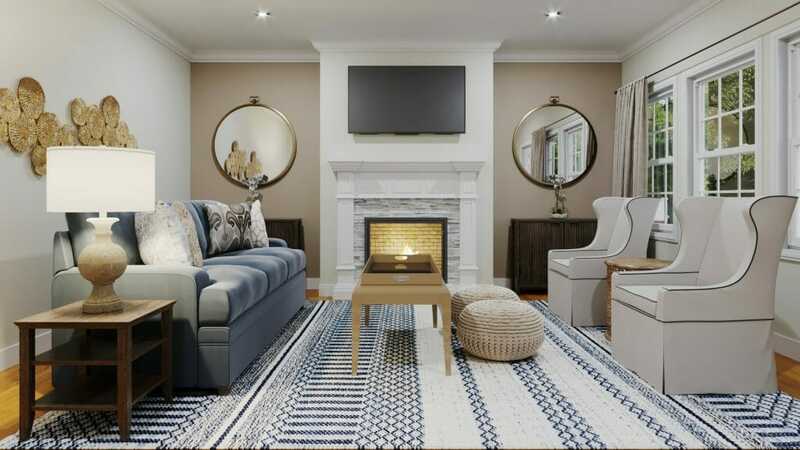 Design by Decorilla online interior designer, Kimber P.
In Danish culture friends and family gather around the fireplace when spending time together. This hygge experience represents warmth and togetherness and is sure to make any home feel cozy and welcoming. This also ties back into our first point of lighting. Having layers of light, such as candles, string lights, and fire bring such a feeling of home in hygge home decor. Sitting around firelight is such a heartwarming and cozy feeling that one should radiate everyday. 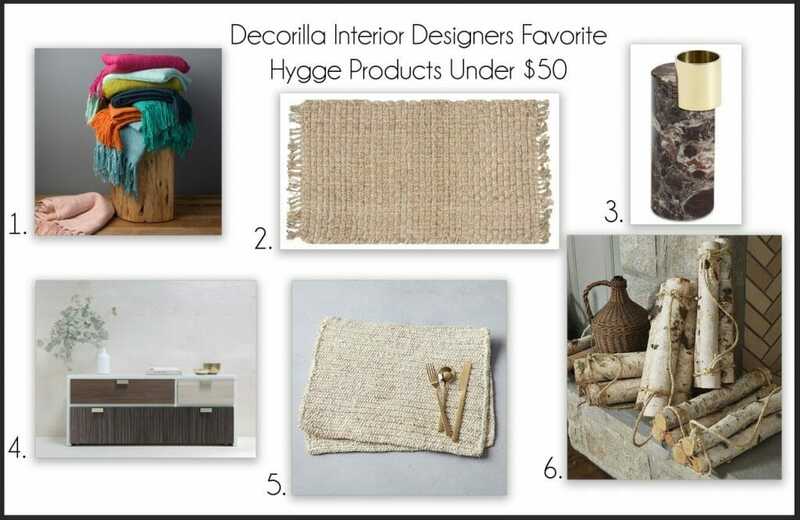 Design by Decorilla online interior designer, Tera S.
Now that we know the basics of Scandinavian decor the question becomes “where do I find it?” Read below to find our top 6 Hygge products for under $50! 1) With it’s loosely knitted fabric and free flowing tassel details, the Tilda Knit Throw by Surya is a budget friendly accent for a sofa or side chair. 2) It’s easy to overlook the lowest points in a space, but they can be the truest of true when experiencing texture in your home. The Natural Fiber Rug Collection by Safavieh is a great accent piece with it’s $50 price point. 3) The Mood Candleholder by BoConcept is a great way to create warmth metal, marble, and some candlelight. 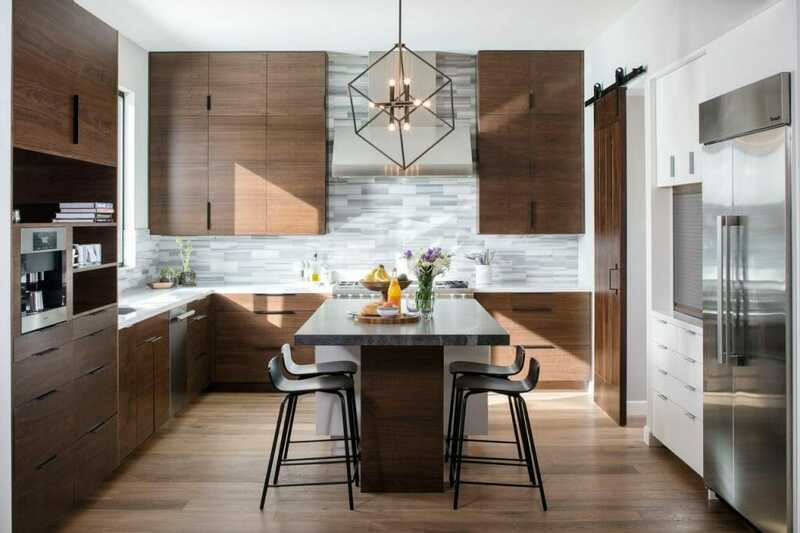 4) The Custom Finish Collections at Panyl, are an inexpensive texture update for furnishings with a diverse range of wood species and naturalistic tones. 5) Both a trend setter and a table setter, the Crochet Placemat Set by West Elm creates visual interest and a cozy dining experience. 6) Awaiting the winter months, the Birch Log Bundles by Ballard Designs are a simple yet striking touch especially when placed below a mantle piece or clustered near a basket ensemble. Needless to say we think the Danish have the right idea. It’s no coincidence they are continually named the happiest people in the world. 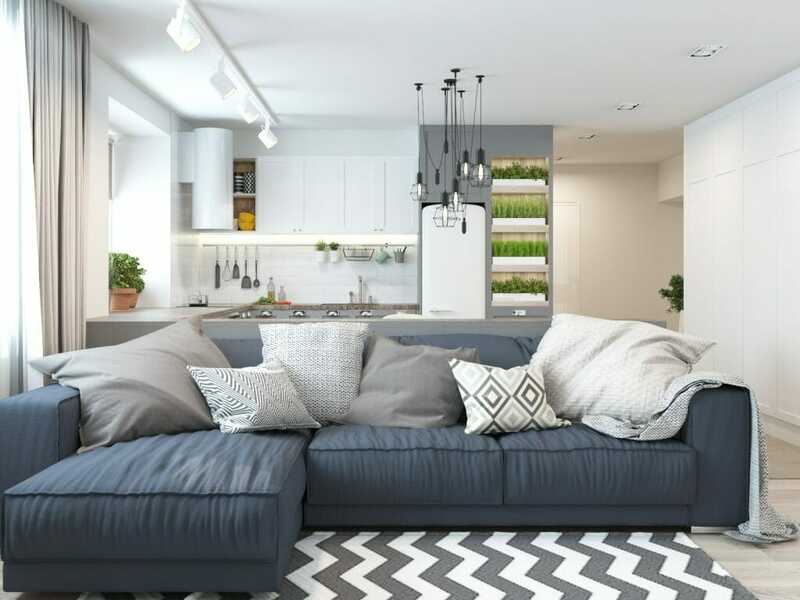 With easy minimal touches you can be on your way to having the most cozy and inviting and happy home you’ve ever dreamed of. Need help incorporating some hygge into your home? 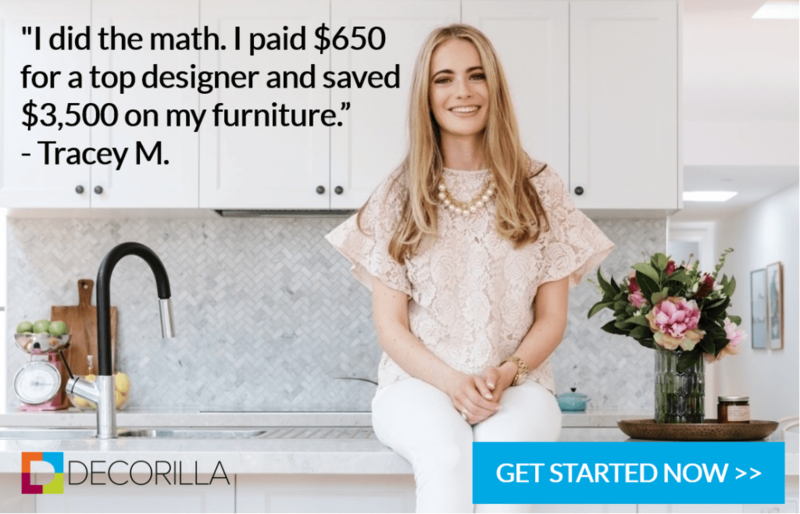 Schedule a free interior design consultation with one of Decorilla’s top interior designers today! Written by Decorilla interior designer, Brittany S.